In approaching the western esoteric traditions, we are confronted by visions, magic, esoteric interpretations, and fantastical otherworldly journeys. Luckily, everyone on earth has experience with all of these strange phenomena, because everyone dreams. In this episode we formulate some preliminary musings on the importance of dreams for western esotericism, and discuss some of the theories about dreams and their significance that we find in the earliest texts of the western tradition. Ranging from lying gods in the Homeric corpus to dæmonic hypnagogic possession in the late antique Platonist writer Iamblichus, this episode sets the stage for things to come. Artemidorus (see Harris-McCoy’s edition in the suggested reading below). We cite dreams III. 15, II, 19, and III 26. Harrison, J., 1921. Epilegomena to the Study of Greek Religion. Cambridge University Press, Cambridge, p. 32. Herodotus I.108 for the dream of Astyages. (Pseudo-)Hippocrates , De ratione victus in morbis acutis (On Regimen), Corpus medicorum græcorum I.
Iamblichus, de myst. III.2 for the hypnagogic state and dæmonic presences therein. Juvenal 6.546 f. for Jewish ladies selling dreams. Orbison, Roy ‘In Dreams’, Monument Records 1963. On the distinction between true and false dreams, see Homer Od. 19.560-567, echoed at Virgil Æn. 6.893-896; Hippocrates On Regimen: Corpus medicorum græcorum I 2.4; Poseidonius, reported at Cicero de div. 1.64; Plutarch Moralia 300c, 564d, 585e (on telling whether the person appearing in a dream is alive or dead in waking life); Artemidorus Oneirocritica passim; Iamblichus de myst. III.2.104-5; Macrobius de somnio Scipionis 1.3.2; Augustine de spiritu et anima 25. On the human soul/mind/rational faculty being free from the body in sleep, See Pindar fr. 116B ; Hippocrates On Regimen 4.86; Xen. Cyropædia 8.7.21; Plato Rep. 571d ff. ; Aristotle fr. 10 = Sext. Emp. Adv. Phys. 121. Bilu, Y. (1979). ‘Sigmund Freud and Rabbi Yehudah: On a Jewish Mystical Tradition of ‘Psychoanalytic’ Dream Interpretation’, The Journal of Psychological Anthropology 2 : 443-463. Dodds, E. R., 1968. The Greeks and the Irrational. University of California Press, Berkeley, CA, pp. 102-134 for a superb discussion of dreams and dreaming in Hellenic antiquity, but with a wide relevance which extends beyond that time and place. Edelstein, E. and Edelstein, L., 1998. Asclepius: Collection and Interpretation of the Testimonies. Johns Hopkins University Press, Baltimore. Ehrenheim, H. v., 2015. Greek Incubation Rituals in Classical and Hellenistic Times. Liège. Geer, R. (1927). ‘On the Theories of Dream Interpretation in Artemidorus’, CJ 22 : 663-70. Hanson, J. ‘Dreams and Visions in the Greco-Roman World and Early Christianity’, ANRW 23 : 1395-437. Harris, W. (2003). ‘Roman Opinions about the Truthfulness of Dreams’, JRS 93 : 18-34. Harris-McCoy, D. E., 2012. Artemidorus’ Oneirocritica: Text, Translation, and Commentary. Oxford University Press,Oxford. Kessels, A. (1969). ‘Ancient Systems of Dream-Classification’, Mnemosyne 22 : 389-424. LiDonnici, L. R., 1995. The Epidauran Miracle Inscriptions. Scholars Press, Atlanta, GA.
Renberg, G., 2017. 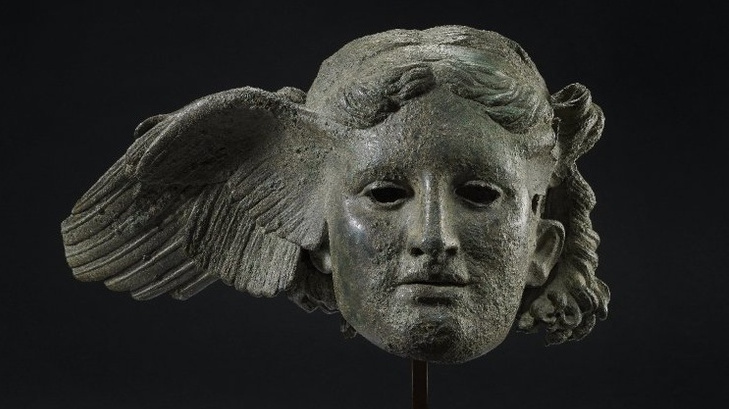 Where Dreams May Come: Incubation-Sanctuaries in the Greco-Roman World. Brill, Leiden. Wolfson, E., 2011. A Dream Interpreted Within a Dream: Oneiropoiesis and the Prism of Imagination. Zone Books, New York.